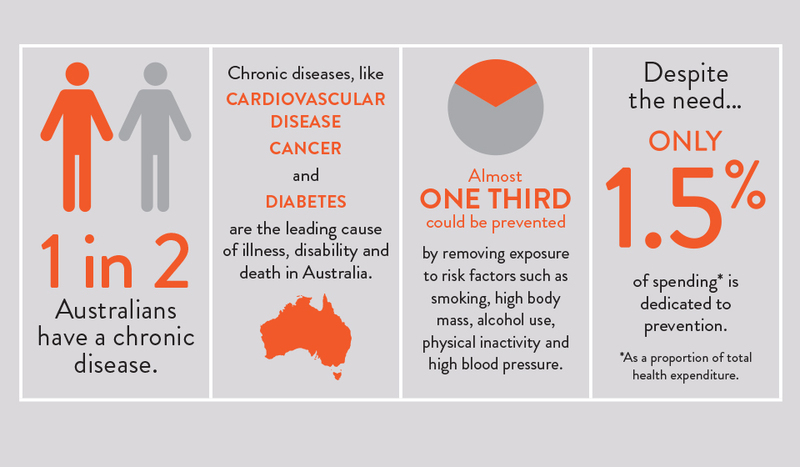 The Australian Health Policy Collaboration (AHPC) promotes and supports a national policy agenda for the prevention of chronic diseases that improves population health and wellbeing in Australia. 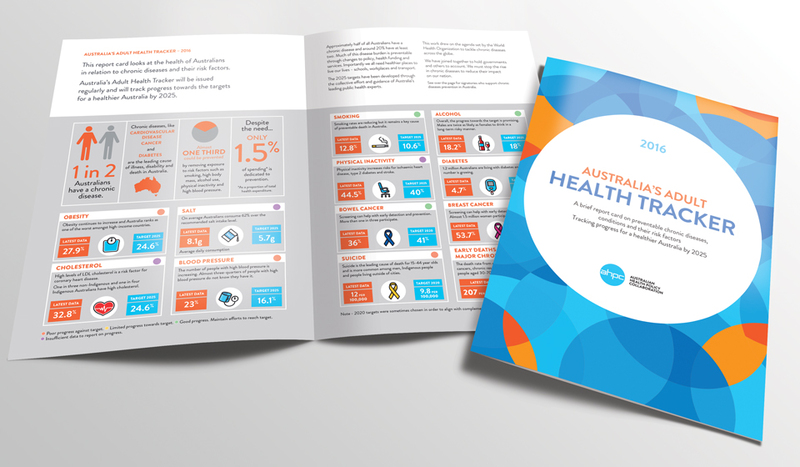 With a goal of reducing the burden of non-communicable diseases by 2025 they developed a series of brochures documenting tailored chronic disease targets and indicators. 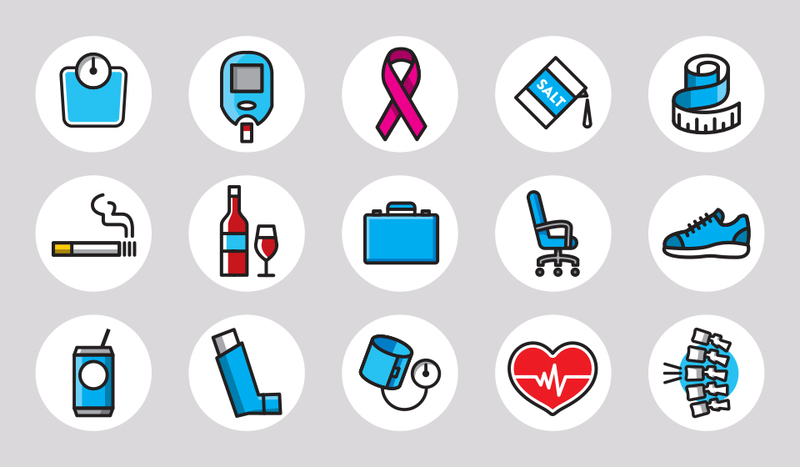 These documents are updated and released every two years to help influence a systemic and sustained approach to the prevention and management of chronic diseases in Australia. 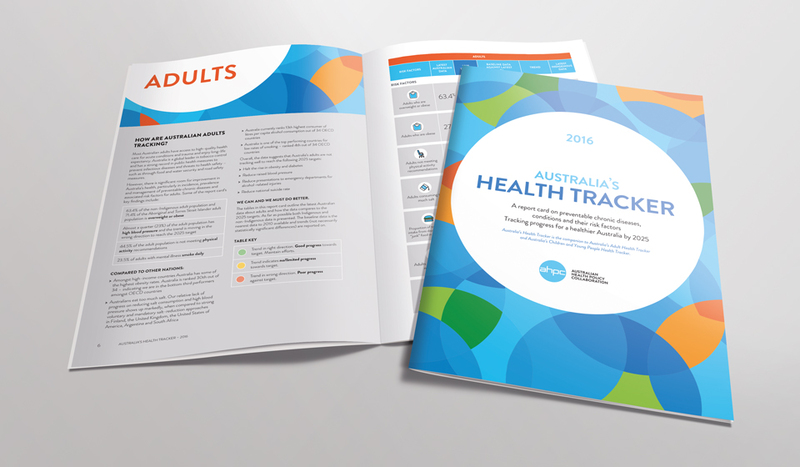 AHPC asked Fenton to create a recognisable identity for the range of publications with a design that would make the complex data easier to digest. We began with a workshop to canvas stakeholders on the most suitable and effective approach for naming and visual design. 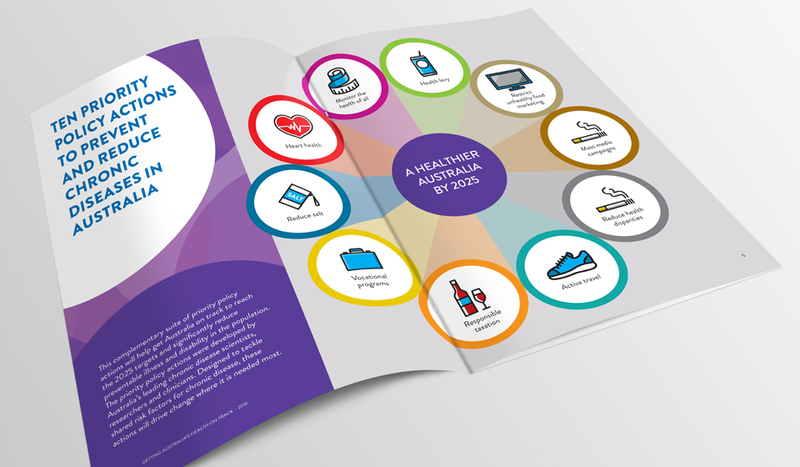 We then created a range of naming and visual identity options, from which the name ‘health tracker’ was chosen. A colour system was introduced to distinguish between each brochure and a playful abstract design made for a set of eye-catching covers. 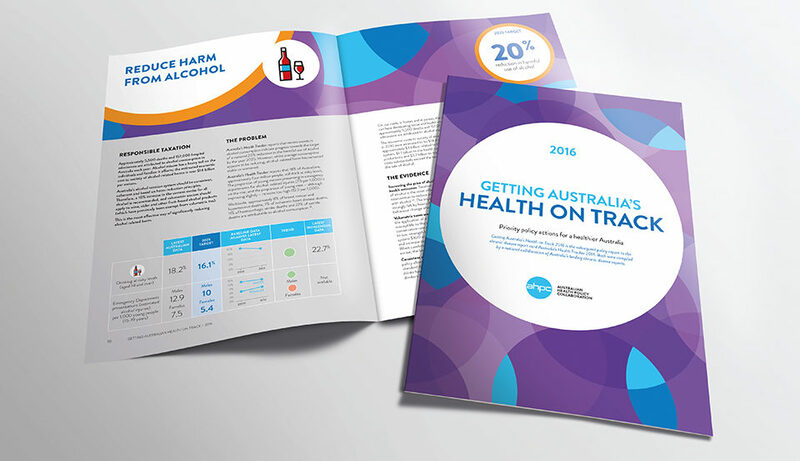 The strong, simple graphic approach was extended to the interior layout of each document with illustrations and charts used to highlight key statistics and make the research data easier to grasp. A modular system was used to structure information graphics to they could be easily adapted for use on different social media platforms. 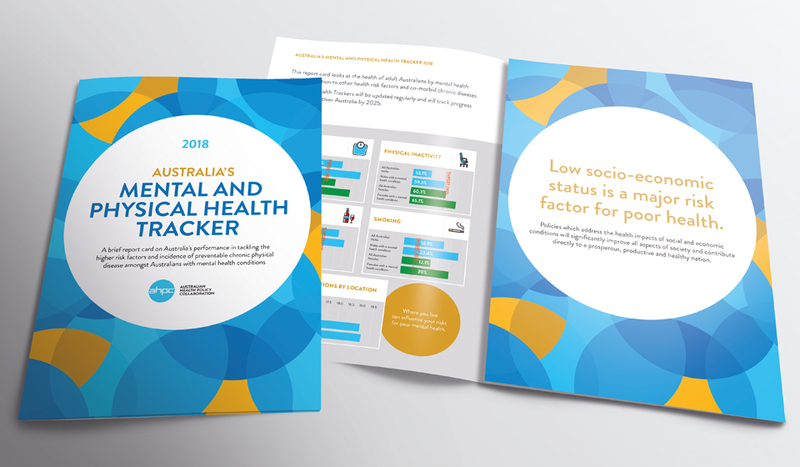 Recently, AHPC in partnership with the Australian Dental Association, created ‘Australia’s Oral Health Tracker’ using the design elements created by Fenton. 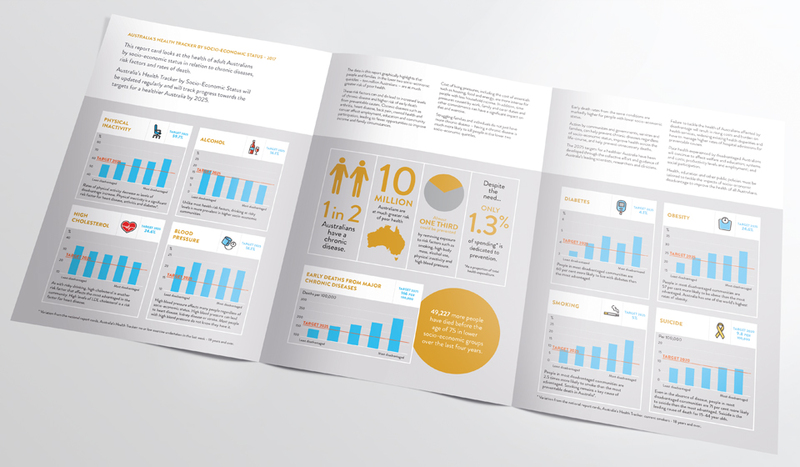 This world-first report was awarded an international award by the FDI World Dental Federation for the ‘best media campaign’ on World Oral Health Day.